I love the GH4 but I’ve always had a thing for the C100. The beauty of the C100 is that you really don’t need anything but a lens and a mic to get started. Audio is great, you have built in ND and that top handle makes shooting a dream. While we can’t add built in ND filters to our cameras, we can make build a modded rig to create a mini C100 with almost any DSLR or mirror-less camera. My GH4 guide is almost complete! Be sure to sign up to be notified when the guide is complete here: GH4 Video Guide. Your Camera – I’m using the GH4 but you could conceivably use any camera. Cage (Check out my A7s Cage list or the GH4 cage list). Here are the steps build the modded rig for the GH4. Be sure to watch the video above for more details and instructions. Any cage will do. Just make sure it has a flat top and at least two 1/4″ threads in a row for the nato rail. Attach the nato rail and nato handle. I try to attach mine as far forward on the cage as possible. This way, when you rotate the handle the weight of the camera isn’t too far off to one side. This step is pretty simple. Add the 19mm rod onto the cent of the preamp and attach it to the Nato Handle as shown in the video. I used a Rode VideoMic Pro, but you could just run an XLR cable to the preamp. A small shotgun is great for mobile shooting and b-roll capture. What do you guys think of this setup? 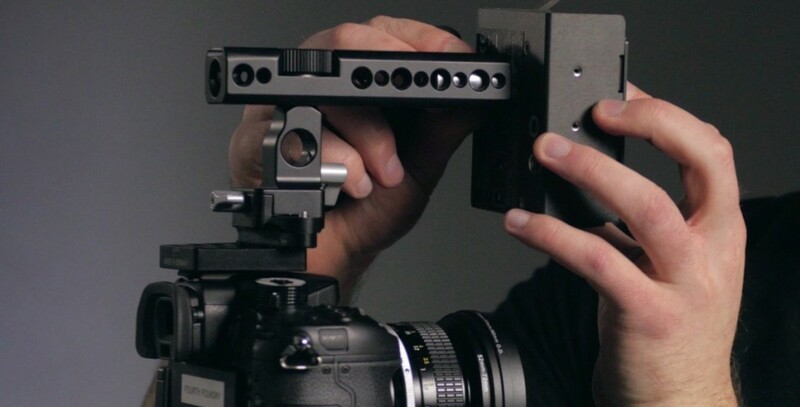 How have you rigged your GH4 for video? Thanks for the insight, Caleb! The fact that the GH4 does 4K makes it worthwhile to build up to a “mini C100” even if it winds up costing the same! I’d be inclined to disagree, the Low Light capabilities of the C100 is crazy (Not A7s Crazy) compared to the GH4. I love my GH4 and in some applications I think you get a much cleaner image from the 4K GH4 than the HD C100 (even when scaling it to an HD timeline). That being said I still will grab my C100 in a run & gun mini doc situation because of the built in ND, auto audio levels & that awesome ergonomic body, things like that I find are essential for a solo shooter/interviewer especially in a situation where you don’t have time to check all audio levels, lighting, and make sure you brushed your teeth! I definitely won’t argue with you- I haven’t had the chance to use either camera. I’m glad you’ve had experience with both cameras to give your insight. How clean are the C100’s auto audio levels compared to the automatic gain control of a camera like the GH4? Tbh I’ve never even attempted using the audio from the GH4. I guess to get any usable audio you’d have to use something like a juiced link audio mixer then I’m not sure how well the auto gain would work. My Normal setup is Rode’s Lavalier straight into the C100 with an xlr adapter. Hopefully soon that’ll be wireless depending on how RodeLink turns out. Glad to hear about the GH4 guide, I’ll be buying. Really curious of your opinion on the best (or native) ISO for the GH4. There are various opinions online, but I’ve been unable to find a definite answer. Coming from a 7D, the noise is my only complaint on the GH4… it can be quite bad at times. The zoom can easily be replaced by a juicedlink. And the tophandle is only 30€ and easier to grab. I keep looking at top handles for my t3i, but the thought of trusting my body and lens to a hotshoe connection is a little terrifying. i really wouldn’t worry about it. canon’s big flashes like the 600 weigh a good amount and i’ve never seen them wreck a hotshoe. i’ve seen people pick up their camera by the flash a lot at weddings and stuff. the only hot shoe i’ve ever heard of even breaking/coming off of the camera is from a gh3. oh ok gotcha. now it makes sense. i’ve had that happen too with plastic wheels. i trust it if there are 2 aluminum wheels, i lock one down on to the hot shoe and lock the other one on top of the first one so it won’t move. haven’t had it come loose yet. Yeah, I use both camera’s a lot and they have their places. If I do not know the conditions and the location, and the client wants a report, I use the c100. With the autofocus update it is a solo shooter – documentry makers dream. That said, the GH4 produces a beautifull image, stunningly sharp and (out of the box) a better color for skintones. This rig is something I attempted myself. It works, but not as “quickly” as a c100. The big issue is to many batteries and buttons. As a solo shooter, you have to focus on a lot of things already. This takes a while to set up, and check if the rode-juicelink- still does it job. And that is just the audio, not the screw-on (nd) filters, ergonomics (maybe the most underrated spec), lowlight and autofocus (this works realy well in combination with a custom onoff button). But if you have more controll and knowligde over the subject and location. The GH4 is my to go camera anytime. It’s an awesome rig but looking at the cost of everything (and don’t forget a couple of sets of ND filters) it seems like you’re coming close the price of a good condition used C100 or a decent used 2/3″ sensor camcorder. This is a tough decision. That’s awesome; but one question: It seems like every sound guy and video editor I’ve read or heard on a podcast or in a class says to get the microphone off the camera and either use lavs or a boom. Yet, it seems like everyone has a camera-mounted mike anyway. Are the sound people and editors living in the past? Have camera-mounted mikes become good enough to overcome the drawbacks of being so far from the sound source? I only use it for reference sound or when shooting b-roll. I would never use a setup like this for an interview or dialog. Darn. I was hoping for a breakthrough in microphone technology. Get a cage – piece of mind! Yeah, I know. It’s on the list. I’m really digging the look of the Smallrig quick cage. Just something solid to mount a handle and mic. The tough thing is finding something tall enough for a t3i (I know, it’s old, but it pays the bills) with a battery grip without being massively tall and/or more expensive than my camera body. 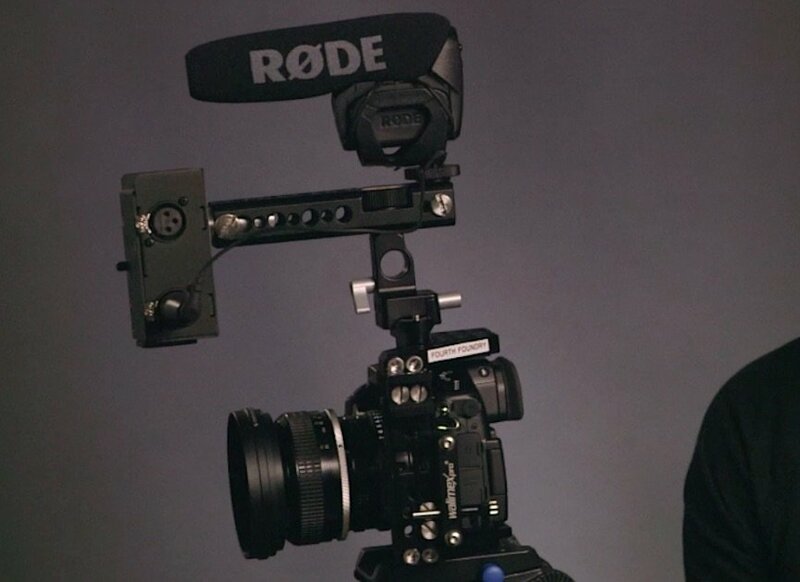 I can’t speak to the Smallrig, as I’ve never used it. I guess it comes down to whether you’re mounting it on a tripod or are using it handheld. There doesn’t seem to be a side grip to hold and the top handle is extra.